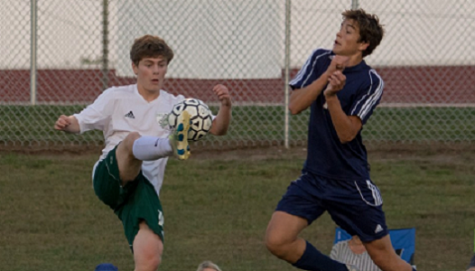 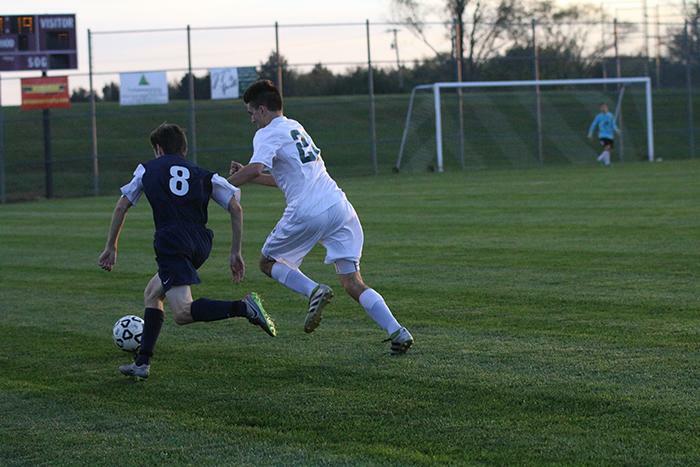 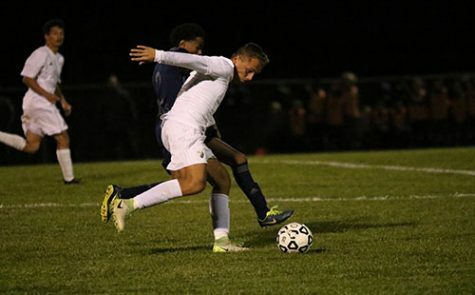 Junior Andrew Goodman dribbles the ball towards the goal against St. James Academy. 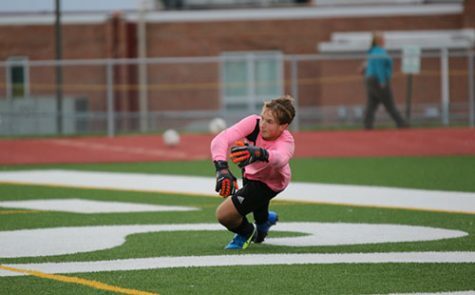 The game resulted in a 7-0 loss for DHS, eliminating them from the State competition. 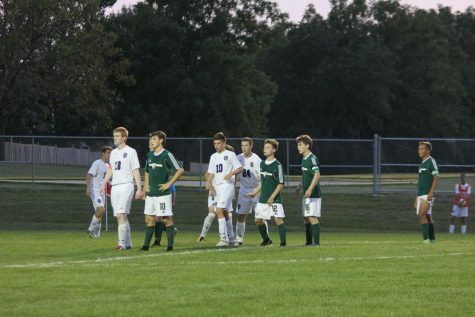 The team ended with a winning season of 12-6-0. 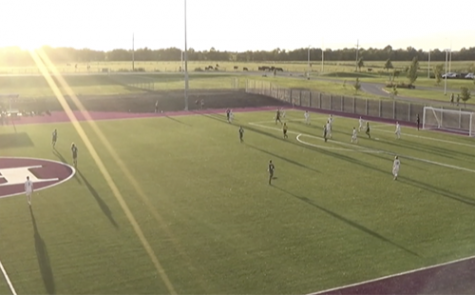 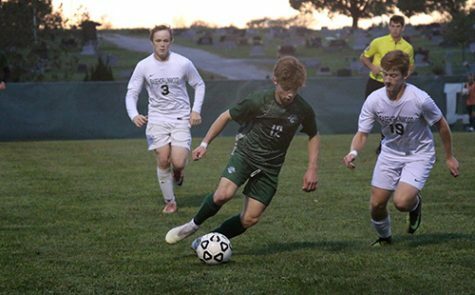 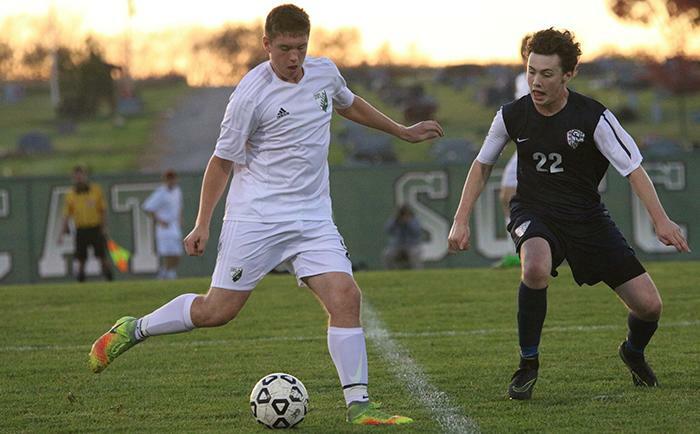 The De Soto High School boys’ soccer team finished their season in the Regional championship where they lost against St. James Academy 7-0. 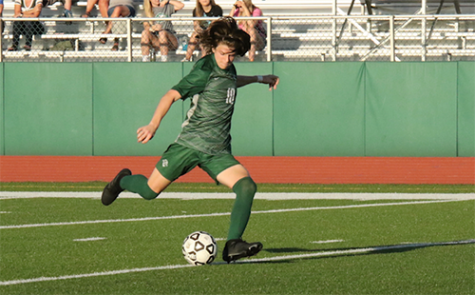 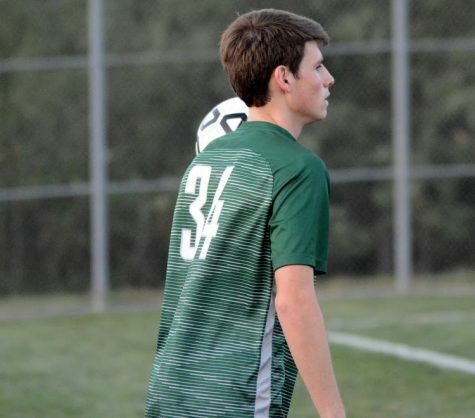 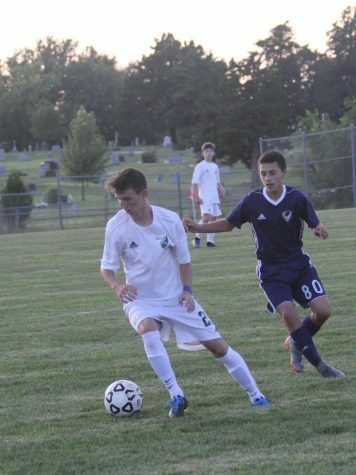 Although the boys could not pull through to claim the Regional championship and move on to the State competition, they had a winning season with a record of 12-6-0. 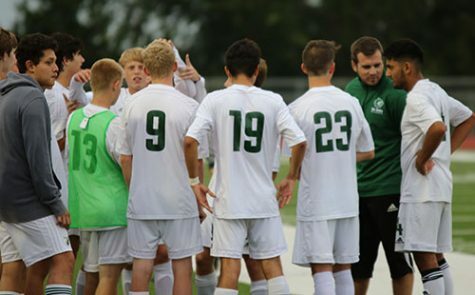 The Green Pride staff wants congratulate the team on their accomplishments this year, as well as all the seniors on a successful four seasons.